POVERTY and poor public health system in rural and urban areas, particularly Metro Manila, lead underprivileged Filipinos to rely on highly-equipped, reliable and professionally manned medical missions. Free of charge and comes with free medicines, medical mission however, comes only once in a while. “’Yun talaga ang kailangan (referring to medical mission) maraming mahihirap sa Pilipinas. Kawawa ang mga tao rito kung walang tumutulong,” said US-based doctor Fred Ng, head of the surgery team of the Carolina Medical Mission (CMM) that conducted a two-day medical mission in Taguig City. “Marami kang makikitang tao na ang sakit ay dalawa hanggang tatlong taon na. Hindi sila makapagpagamot dahil walang pera. Kaya ang mga tao they rely on medical mission,” he said. Dr. Art De Leon, a retired family medicine practitioner based in North Carolina, said there are many doctor-less areas in the country and areas where there are doctors but lack medical facilities and medicine. “When you’re doing a mission in the rural areas, you have no way to figure it out what is the diagnosis (of a patient). You’ve got to act on your common sense. Halimbawa, ano ba ang naaamoy ko rito,” he told People’s Tonight. The Carolina Medical Mission has served more than 70,000 poor Filipinos from the countryside since the humanitarian project of the Philippine-American Association of North Carolina, Inc. started its benevolent work in 1993. In all their missions, the group brings own medicines and equipments. The volunteers composed of doctors, dentists, local volunteer nurses and physical therapists from different areas of the United States, and eight regions in the country provide free medical, surgical and dental services to the sick and underserved areas. Last Saturday, Feb. 25, the group composed of 12 medical people from North Carolina, together with their counterparts the Chinese General Hospital in Manila, went to Taguig City and attended to children and adult with thyroid and hernia problem, and mass in abdominal walls. Housewife Divina Jasareno, of Tipas, was one of the beneficiaries who went to the Cruz Rabe OB-Gyne Hospital to avail of a free thyroid operation. The 39-year-old mother of five has been suffering from an enlarged thyroid or goiter for 10 years. She said she could not afford an operation even in a government hospital because her family depends on the meager salary of her laborer husband. “Sa hirap ng buhay ngayon isasantabi ko po muna ang pagpapagamot dahil nagaaral ang mga bata, gastos pa sa pagkain,” she said in an interview. Camaraderie develops in the 13-year-old humanitarian mission conceived by Dr. De Leon, a missionary doctor from Kapangan, Mountan Province in the 1960s. CMM workers have grown in number over the years. “It’s a family without blood ties. Kaya when we see each other once a year, it’s like a reunion. It’s like seeing an old friend,” said Dr. De Leon’s wife, Rosemarie, a retired anesthesiologist. Dr. De Leon, who heads the medical team, said that health workers leave their practices for about two weeks or get time off without pay just to do volunteer works or Pharmacist Jobs. “It’s our dream to be able to come home and be of service to our kababayan. We have had a good life in the states; we want to give back what our country had given to us,” said Mrs. Anita Ng, Dr. Ng’s wife and general coordinator of CMM in the US. General and cancer surgeon Benjie Yu and wife Nimfa, an anesthesiologist, from Nueva Ejica has been with the mission since 1995. They formed the local counterparts. “It was in 1995, chief ako ng San Antonio District Hospital in Nueva Ejica. Doon nagpunta sila Dr. Ng for a medical mission, e wala daw anesthesiologists so isinama ko ang wife ko. Since then kasama na kaming mag-asawa sa mission,” Dr. Yu recalled. Dr. Michael Sison, ophthalmologist from the Chinese General Hospital and St. Luke’s Medical Center, has been operating cataract patients for CMM since 1997. Mrs. Ng said that each US-based volunteer would donate a certain amount to support or adopt a local counterpart during a mission. Few months before the scheduled mission, Mrs. Ng and other volunteers would collect donations from US hospitals consisting of medicine and medical equipment. Volunteering with CMM has brought many remarkable experiences that money can’t buy, Dr. De Leon said. “I saw children coming from cleft operation and going home with beautiful smiles and a better appreciation that they are not damaged creations. I saw people with giant goiters going home with improved looks,” he said. Volunteer doctors, he said, share not only expertise, time and energy for the poor, but also a part of themselves whenever duty calls. Dr. Yu and Dr. Rafael Belmonte, according to Dr. De Leon, had even donated their own blood to a 20-year-old tumor patient undergoing bloody spleen operation in Coron, Palawan. “Hindi lang services, pati sarili nilang ini-offer nila,” Dr. De Leon recalled. One time, a young man was stabbed with a stingray’s tail in Culion, Palawan. It pierced the victim’s heart. As there was no surgeon to operate on the lad, the local doctors prescribed antibiotics. The CMM team, who was in a nearby Coron town, rushed when informed of the boy’s plight. While visiting Palo General Hospital in Leyte, the doctors witnessed midwives delivering babies with bare hands. “Nang binigyan namin sila ng gloves, ang sabi nila, `sir, salamat po sa gloves.’ Still, disposal gloves are being recycled,” he said. Volunteer doctors had witnessed how a miracle work on a blind couple. “They have not seen each other for three years. They could not afford a cataract operations. Thanks to Dr. Sison who took care of them. Pagkaalis ng bandage they kissed each other with so much joy in their eyes…,” recounted Dr. De Leon while holding back own tears. The foot of a diabetic fisherman from Hagonoy, Bulacan, was scheduled for amputation when the patient had decided to consult the missionary doctors in the area. “Sabi ni Dr. Ng, ‘gamutin muna natin.’ Dr. Ng prescribed antibiotics na dala pa namin. Pagbalik uli niya (Dr. Ng) sa Bulacan, dumating ‘yung mama at ipinakita ang paa niya na magaling na,” he said. The doctors admitted that the warmth they receive from patients overwhelm them. Penniless, the rural folks would give them root crops, banana and crab as sign of gratitude. “Ang mga Filipino very flexible kahit mahirap sila kahit may sakit they are so grateful for every little thing na ginagawa namin. They were so thankful, parating may smile kahit in pain,” the Ng couple said. The group said they were humbled by the humanitarian spirit that they were able to stimulate among the local volunteers in the provinces, people from the local government units, residents, nuns and priests. Today, Dr. Ng and the rest of the CMM volunteers continue to encourage doctors to join their medical mission. “It’s very nice to know that those who have joined us in the past missions are still joining us every time we conduct a mission,” he said. “There are many good-hearted doctors and individuals , the government can tap to serve the people. Marami ang gustong tumulong sa kapwa,” he said. The US-based doctors commended private practitioners like Dr. Cruz Rabe, who allowed the group to use their facilities in Taguig for the surgical operation. Dr. Roland Paac, City Health Officer of Taguig, meanwhile, has expressed gratefulness to the group for providing free operations to poor Taguig residents. “Sa tulong at awa ng Panginoong Diyos nabigyan sila ng tulong ng mga tao galing pa ng States. God Bless them for their compassionate mission here in Taguig. Sana makabalik pa sila rito.” he said. Good Samaritans do meet problems along the way. No matter how good this group’s intentions are, government’s indifference somehow affects their morale. “Sa halip na tumulong (government) pinapahirapan ang mga medical mission lalo na sa pag-secure ng permit,” said Dr. Ng. He cited an incident involving Customs authorities who held the release of medical supplies in balikbayan boxes. “Masakit ang feeling mo dahil tumutulong ka na nga sa ating mga kababayan, pagdating mo sa Customs, parang pinaghihinalaan pa kami na nagpapasok ng masama…and then ‘yun pala they would just ask for medicine,” Dr. De Leon said. One lady doctor from Ilocos Norte even turned down services offered by CMM, claiming that they discourage people from using Philhealth. “Kapag tama pala ang ginagawa mo, mas lalo kang pinahihirapan,” Dra. De Leon said. “We would like them to know that there are people who care,” the doctors assured. *I wrote this heart-warming story for People’s Tonight in March 2006. This entry was posted in Charity Work, Inspirational and tagged Carolina Medical Mission, medical mission, public service, volunteerism on September 28, 2011 by Yami. I won’t forget that line uttered by no less than the grand dame of Philippine radio – Fidela “Tiya Dely” Magpayo – during a personal interview with her 10 years ago. We’ve only talked for an hour, but it’s like talking with her forever. She was full of life and very endearing. I have learned so many things from her in such a short time. She shared a lot about her love for what she does as radio counselor and commitment to help other people. When asked where she gets the motivation to help, Tiya Dely says, “Common sense and more on Filipino values.” For several decades she imparts realistic solution to the problems presented by avid letter senders. She gives them a piece of advice and letter senders take her every word for it. I guess Tiya Dely can deal with any problem as technical as securing rv insurance when a letter sender would ask for help. This entry was posted in Inspirational and tagged tiya dely, tiya dely magpayo on September 15, 2011 by Yami. “Move and the way will open” – Zen Quote. Isn’t that true? The only thing that obstructs our view towards the path of success is… Ourselves! We either do not believe in ourselves or have enough confidence to move out of our comfort zone. You wouldn’t see the light at the end of the tunnel unless you open your eyes. – Editor Bob newsletter. 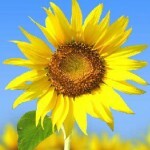 This entry was posted in Inspirational and tagged positive thinking, positive thinking day on September 6, 2011 by Yami.